The first advisory to limit consumption of Florida Bay fish due to mercury was issued in 1995. Studies done by others in the late 1990s found elevated water column concentrations of both total Hg (THg) and methylmercury (MeHg) in creeks discharging from the Everglades, which had its own recognized mercury problem. To investigate the significance of allochthonous MeHg discharging from the upstream freshwater Everglades, we collected surface water and sediment along two transects from 2000 to 2002. Concentrations of THg and MeHg, ranging from 0.36 ng THg/L to 5.98 ng THg/L and from <0.02 ng MeHg/L to 1.79 ng MeHg/L, were elevated in the mangrove transition zone when compared both to upstream canals and the open waters of Florida Bay. Sediment concentrations ranged from 5.8 ng THg/g to 145.6 ng THg/g and from 0.05 ng MeHg/g to 5.4 ng MeHg/g, with MeHg as a percentage of THg occasionally elevated in the open bay. Methylation assays indicated that sediments from Florida Bay have the potential to methylate Hg. Assessment of mass loading suggests that canals delivering stormwater from the northern Everglades are not as large a source as direct atmospheric deposition and in situ methylation, especially within the mangrove transition zone. The authors would like to thank Angela Drummond and Mark Kromer (SFWMD) for their help in field sampling. We thank Carl Mitchell and David Rudnick for their comments on an early draft of the manuscript and two anonymous reviewers for a later daft. We would like to acknowledge also the hard work of chemists at FDEP, FGS, and CEBAM, especially Lian Lang. We gratefully acknowledge the use of ENP facilities on Key Largo that were used in support of fieldwork. Finally, funding was provided through NOAA's Coastal Oceans Program and administered by the South Florida Ecosystem Restoration Prediction and Modeling program (SFERPM). Other funding was provided by the SFWMD and the NMFS's Southeast Fisheries Science Center. Ache, B.W., J.D. Boyle, and C.E. Morse. 2000. A survey of the occurrence of mercury in the fishery resources of the Gulf of Mexico. Prepared by Battelle for the USEPA Gulf of Mexico Program, Stennis Space Center, MS. MS. USA. http://www.duxbury.battelle.org/gmp/hg.cfm. Accessed 8 January 2009. Adams, D.H., and R.H. McMichael, Jr., G.E. Henderson. 2003. Mercury levels in marine and estuarine fishes of Florida 1989–2001. Florida Fish and Wildlife Conservation Commission, FMRI Technical Report TR-9. http://research.myfwc.com/publications/publication_info.asp?id=43959. Accessed 10 January 2009. Cornwell, J.C., W.M. Kemp, M.S. Owens, J. Davis, and E. Nagel. 2003. Internal Nutrient Cycling in Florida Bay: Denitrification, Nitrogen Fixation and the Role of Microalgae. (Published abstract). In Joint Conference on the Science and Restoration of the Greater Everglades and Florida Bay Ecosystem, "From Kissimmee to the Keys". April 13–18, 2003. http://www.town.orleans.ma.us/Pages/OrleansMA_BComm/bib/%2892%29Cornwell.pdf. Accessed 1 February 2009. Florida Department of Health (FDOH). 2009. Your guide to eating fish caught in Florida. Tallahassee, FL. http://doh.state.fl.us/floridafishadvice/Final 2009 Fish Brochure.pdf. Accessed 3 March 2010. Fink, L., D.G. Rumbold, and P. Rawlik. 1999. Chapter 7. The Everglades mercury problem. In Everglades Interim Report. South Florida Water Management District. West Palm Beach, FL. http://my.sfwmd.gov/portal/page/portal/pg_grp_sfwmd_sfer/portlet_prevreport/interimrpt_98/chpt7.pdf. Accessed 3 March 2010. Hittle, C.D., E. Patino, and M. Zucker. 2001. Freshwater Flow from Estuarine Creeks into Northeastern Florida Bay: USGS Water-Resources Investigation Report 01-4164. http://fl.water.usgs.gov/Abstracts/wri01_4164_hittle.html. Accessed 3 March 2010. Levesque, V.A. 2004. 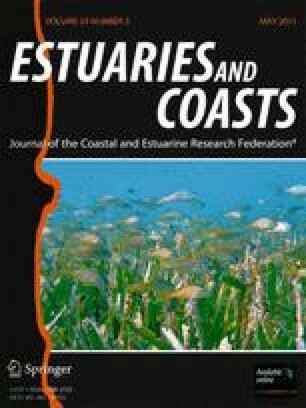 Water Flow and Nutrient Flux from Five Estuarine Rivers along the Southwest Coast of the Everglades National Park, Florida, 1997–2001. U.S. Geological Survey Scientific Investigations Report 2004-5142. http://pubs.usgs.gov/sir/2004/5142/pdf/sir2004_5142_levesque.pdf. Accessed 3 March 2010. Niu, X., and A. Tintle. 2003. Statistical Analysis and Summary of the HgRR3 Mercury Round Robin Data. Report prepared for Florida Department of Environmental Protection. Tallahassee, Fl. http://publicfiles.dep.state.fl.us/dear/labs/sas/roundrobin/hg/hg3report.pdf. Accessed 3 March 2010. Nuttle, W. 2002. Report#1: Review and Evaluation of Hydrologic Modeling Tools for the Coastal Mangroves and Florida Bay. Project report for Everglades National Park, April 2002. http://www.eco-hydrology.com/wkn%20enp%201.pdf. Accessed 8 January 2009. Rumbold, D., N. Niemeyer, F. Matson, S. Atkins, J. Jean-Jacques, K. Nicholas, C. Owens, K. Strayer, and B. Warner. 2007a. Appendix 3B-1: Annual permit compliance monitoring report for mercury in downstream receiving waters of the Everglades Protection Area. In 2007 South Florida Environmental Report, Vol. 1. South Florida Water Management District, West Palm Beach, FL. https://my.sfwmd.gov/portal/page/portal/pg_grp_sfwmd_sfer/portlet_prevreport/volume1/appendices/v1_app_3b-1.pdf. Accessed 3 March 2010. Rumbold, D., N. Niemeyer, F. Matson, S. Atkins, J. Jean-Jacques, K. Nicholas, C. Owens, K. Strayer, and B.Warner. 2007b. Appendix 5-5: Annual permit compliance monitoring report for mercury in Stormwater Treatment Areas. In 2007 South Florida Environmental Report, Vol. 1. South Florida Water Management District, West Palm Beach, FL. https://my.sfwmd.gov/portal/page/portal/pg_grp_sfwmd_sfer/portlet_prevreport/volume1/appendices/v1_app_5-5.pdf. Accessed 3 March 2010. Schaffranek, R.W., H.L. Jenter, C.D. Langevin, and E.D. Swain. 2001. The tides and inflows in the mangroves of the Everglades project (Abstract). In Program & Abstracts: 2001 Florida Bay Science Conference, Key Largo, Florida, April 23–26, 2001. http://conference.ifas.ufl.edu/FloridaBay/abstract.pdf. Accessed 3 March 2010. U.S. Environmental Protection Agency (U.S.EPA). 2007. National Listing of Fish Advisories. http://www.epa.gov/waterscience/fish/advisories/. Accessed 8 January 2009.